This comfortable stylish chair is a real treat. It is the one to chose when comfort is required in a stylish contemporary setting. 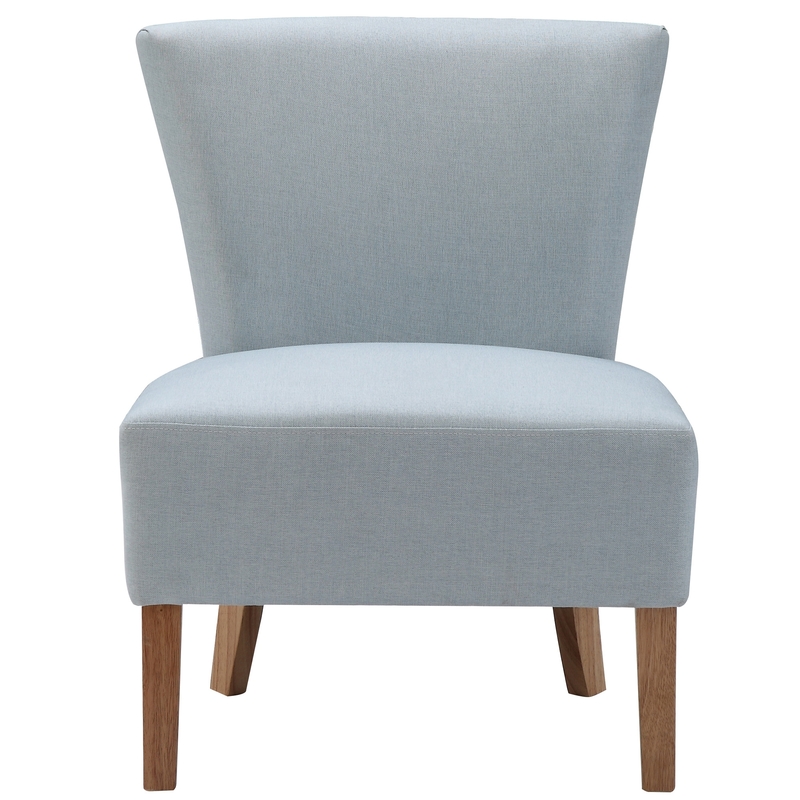 Working well complimenting our range of shabby chic furniture or simply as a statement piece on its own, this chair featuring wonderful natural wood legs and a duck egg blue fabric is sure to impress accross generations.